Draped in pure comfort the Bentley slipcover Distinctions collection showcases chic styling. Two over two, bordered back cushions and bordered, T-seat cushions are filled with down blend to make the seating extra soft and crisp. Raised track arms curve to meet the seat cushions on the inside. Accent arm pillows are down blended as well plus add color and texture. A clean, side pleated skirt cascades to the floor. 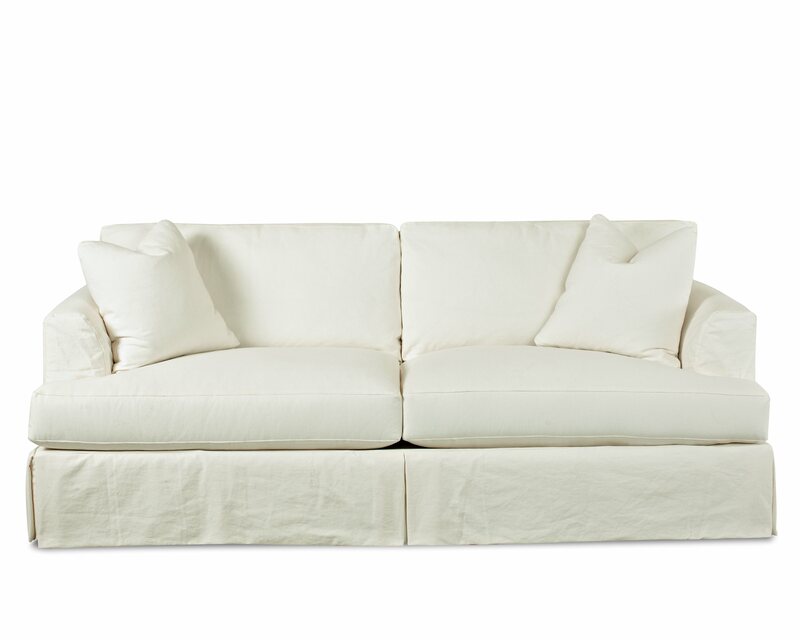 The Bentley slipcover is well tailored, classic beauty. This "special order" slip cover queen sofa sleeper is available in multiple colors and fabric options. Pricing varies based on fabric group.